Thesis: The style of the typical architecture education encourages high stress environments and unhealthy lifestyles, and needs to change for the sake of the students. A lighter workload, healthier relationships between students and professors, and an emphasis on the well rounded student will create happier, healthier, and better architects in future generations. While this abstract could be posted in many architectural periodicals, I chose to post it in Archdaily. Posting at this location guarantees a large audience that has experienced architecture education and has the ability to support my thesis in several ways as practicing professionals, students, and related design professionals. In addition, there is already a large base of discussion on the topic on their website. Architecture School. After describing the endless time commitments, the harsh reality of critiques, the professors that push students beyond limits, the sleep lost, the poor health choices due to stress, and the sacrifices students make for their passion, non “archies” scratch their heads in confusion, “sounds like a lifestyle”, they mumble. But does it have to be? Looking to other models of education for different professions shows vividly different experiences. Other professions and educational systems develop successful graduates, without forcing weekly all-nighters. Why is architecture education the way it is? Architecture education encourages lack of sleep, an absence of daily exercise, and poor eating habits. Students sacrifice involvement in extracurriculars and time with family and friends to make deadlines. In 2000, several architecture student deaths were reportedly caused by exhaustion or accidents related to exhaustion (Giermann, Holy). Aside from the physical drain, architecture school has adverse affects on a student’s mental health as well. Students entrust (and pay) professors to educate, nurture, and empower students, yet their interactions with students prove the exact opposite. 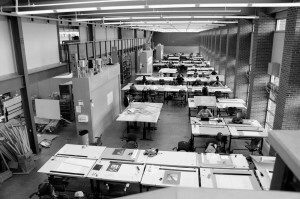 In more than one report, it has been shown that over half of the students surveyed have seriously considered quitting architecture school (Mitchell, Leon, Linova, Squires, Daros). Words such as anxiety, depression, stress, hopelessness, and fear are found repeatedly in studies on architecture students mental health. However, society depends on architects to envision the world. How can society depend on a group of mentally unhealthy people to successfully construct the future world? Several studies have been published on this topic, inclduing Danielle Mitchell’s Studio Culture: Reviewed to University, Toronto’s GALDSU Mental Health Report, and the American Institute of Architecture Students’ Toward an Evolution of Studio Culture. These publications show alarming trends relating to studio culture internationally. Even more alarming, many of the studies have been published between 2000’s and 2015, yet there are no records of any of the reports yielding results or creating change in the architecture education in question. Why is there a lack of action on behalf of faculty, staff, and students alike? What can be done to begin movement on all fronts of this fight? The architecture profession is a constantly evolving and growing field, and its time the educational model does too. However, several architects see no need to change the current state of architectural education. Since these aged architects have endured the exact same experience (and survived), they insist the only problem is over sensitive students. For example, ArchDaily hosted a discussion regarding 24-hour studio culture and if it should exist. Many architects from around the world weighed in. One in particular had an interesting comment, saying, “I just graduated from a 3.5 year Master of Architecture program. While it was an immense amount of work with long and very stressful days, I got through the program without pulling a single all-nighter, and often finished a day ahead of major deadlines…While architecture school is definitely grueling, studio culture is perpetuated by the students, not by the program,” (Rory Scott). Another student, Ann, featured in Boyer and Mitang’s Building Community: A New Future For Architectural Education and Practice comments on the positive outcomes of studio culture saying, “A value of it (studio culture) being so rigorous and taking so much commitment is that you leave with a commitment to the field.” Unfortunately, the reality of the problem is that students/architects like Rory and Ann are the exception, not the rule. All architects can agree that the architectural education has many positives. However, they can also agree that architectural education is not perfect and striving to make architectural education as beneficial, enjoyable, and healthy as possible will benefit both the educational field and profession alike. Architecture education can be changed for the better. Following is a set of adjustments that will help create a more rounded educational experience for students, faculty, and staff. They include a change in critique day, a re-evaluation of language in the student/professor relationship, and a change in attitude about the education system and profession. These changes are meant to respect the accepted architectural education system as it exists, but with long needed refinements. They are meant to better student-professor relationships, increase mental, physical, and emotional health of the student, and promote a healthier studio culture in general. The first change to improve the effectiveness of architectural education comes in a change in critique day. Critiques are a huge part of studio culture and architecture education. When done correctly, they can be informative and extremely helpful. However, many students find critique day to be more about public humiliation than education value. Boyer and Mitgang suggest alternate forms of student evaluation. For example, the “round robin” format applied at the Miami University of Ohio. In these critiques, four critics talk with students individually about their projects, while students not being reviewed at that time may join the small circle. This format seemed to foster more open dialogue and more participation by students themselves. Not only does this reduce public embarrassment extremely, but increases the effectiveness in the review with more student involvement. The next adjustment is meant to better relationships between students and professors. One of the most harmful interactions between students and professors come when professors speak extremely critically or harshly of a student’s work. Professors hope to demonstrate their point by using offensive language or attacking students, which only backfires most of the time. These hurtful words are often discouraging to students, ruining a student’s self confidence and willingness to work. In one example, a student at Pennsylvania State University was told that she “shouldn’t sleep for the two days before next deadline.” However, a lack of sleep has been proven to undermine student productivity, rather than enhance it (Durmer and Dinges). Lack of sleep can also result in increased anxiety and depression (Durmer and Dinges). Ironically, this shows that the professor’s offensive comment will result in the exact opposite of improved performance. Another illustration of harmful comments comes from an anonymous student group surveyed in Boyer and Mitang’s numerous studies. “Do you want a family, or do you want a career?” was asked to a group of frustrated students. Compared to the twelve to sixteen credit hours the average undergraduate takes per semester, architecture students carry eighteen, twenty, or more (Boyer and Mitgang). Students are already sacrificing so much to create quality work for their professors. When they are told that they have to make even further sacrifices, it is truly discouraging to students. Talented students may leave the field, adopt unhealthy habits, a poor mental state, or question why even try so hard in the first place when faced with such negative surroundings. The final proposal will be the hardest to undertake, but it is arguably the most important of the three. 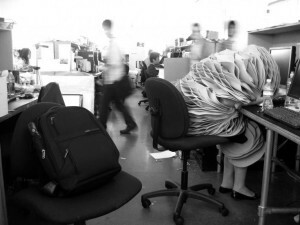 It is crucial that there is a change in attitude towards architecture education. “Architects need to get out of the centuries-old philosophy that one must earn a ‘red-eye’ badge of courage by surviving school in order to be a ‘real’ architect,” says a Connecticut architect surveyed by Boyer and Mitgang. Another anonymous architect weighs in the on the topic, saying, “I think it’s the result of the male dominated profession- a competitive, prove your manhood, I’m tough and I can take it sort of thing”. Finally, Aaron Koch, of the AIAS taskforce to redesign studio culture, states, “architecture schools should be places for growth and prosperity, not environments where students ‘put in their time,’ learn ‘how to survive,’ or complete an experience that could be compared to ritualized hazing.” This thought process is only becoming more and more detrimental to our profession. In fact, Boyer and Mitgang cite that architecture deans are not seeing the untalented and unmotivated students leave the profession, but rather, those with a gift for architecture and incomparable work ethic. We are literally killing our own offspring with the idea that architecture school hardships are just part of the process. It does not need to be this way! Architecture school gives so much. It creates determined, strong-willed, and knowledgeable students. It gives endless skills and experiences to its students. It introduces amazing, thoughtful people that will be remembered for life. Mitchell’s study strikes a chord with every architecture student, saying, “It has been a great experience that I never want to repeat again”. It is time to begin implementing changes that will help maintain the beauty and effectiveness of architecture school, without draining students mentally, physically, and emotionally. 1 Boyer, Ernest L., and Lee D. Mitgang. “Building Community: A New Future for Architecture Education and Practice: A Special Report.” Princeton, NJ: Carnegie Foundation for the Advancement of Teaching, 1996. Print. 2 Ockman, Joan, and Rebecca Williamson. “Architecture School: Three Centuries of Educating Architects in North America.” Cambridge, MA: MIT, 2012. Print. 3 Nazidizaji, Sajjad, Ana Tome, Francisco Regateiro, and Ahmadreza Keshtkar Ghalati. “Narrative Ways of Architecture Education: A Case Study.” Procedia – Social and Behavioral Sciences 197 (2015): 1640-646. Web. 4 Ulusoya, Mine, and Emine Kuyrukcu. “The Meaning and Importance of the Traditional Architecture in Architecture Education; Gönen Winter School Model.” The Meaning and Importance of the Traditional Architecture in Architecture Education; Gönen Winter School Model. N.p., 18 Aug. 2012. Web. 05 Sept. 2015. <http://www.sciencedirect.com/science/article/pii/S1877042812026961>. 5 Salama, Ashraf, and William O’Reilly. “Architecture Education Today.” N.p. : n.p., n.d. Print. 6 Ellis, William R. “Re-Designing Architects: Education, Research and Practice.” Journal n of Architectural Education 25.4 (1971): 85-92. Web. 8 Leon, Joel, Roxana Linova, Jocelyn Squires, and Alex Daros. Mental Health Report. Rep. N.p. : n.p., n.d. Print. 9 Mitchell, Danielle. Studio Culture: Reviewed. N.p. N.d. Web. 11 Durmer, Jeffrey S., M.D., Ph.D., and David F. Dinges, Ph.D. “Health Consequences of Sleep Deprivation: Neurocognitive and Psychiatric Disorders.” Sleep & Safety (2011): 33-51. Perelman School of Medicine. University of Pennsylvania, 2005. Web. 13 Dec. 2015. <https://www.med.upenn.edu>. 12 Koch, Aaron, Katherine Schwennsen, FAIA, Thomas A. Dutton, and Deanna Smith. “American Institute of Architectue Students Redesign of Studio Culture…” American Institute of Architectue Students Redesign of Studio Culture… AIAS, Dec. 2002. Web. 13 Dec. 2015. 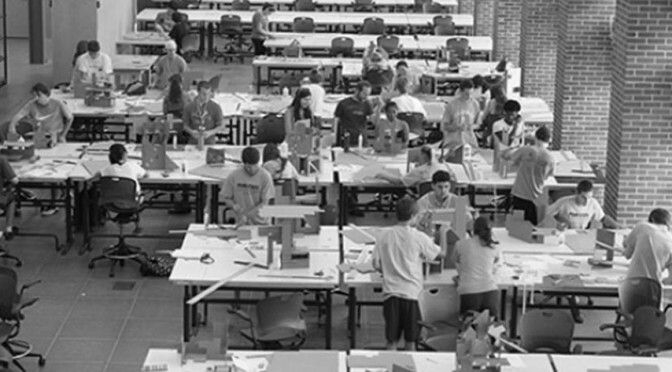 <http://www.slideshare.net/andrewwilliamsjr/american-institute-of-architectue-students-redesign-of-studio-culture-report2002>.